There are nine new troops from builder’s base and it might be a bit overwhelming to get used to them! 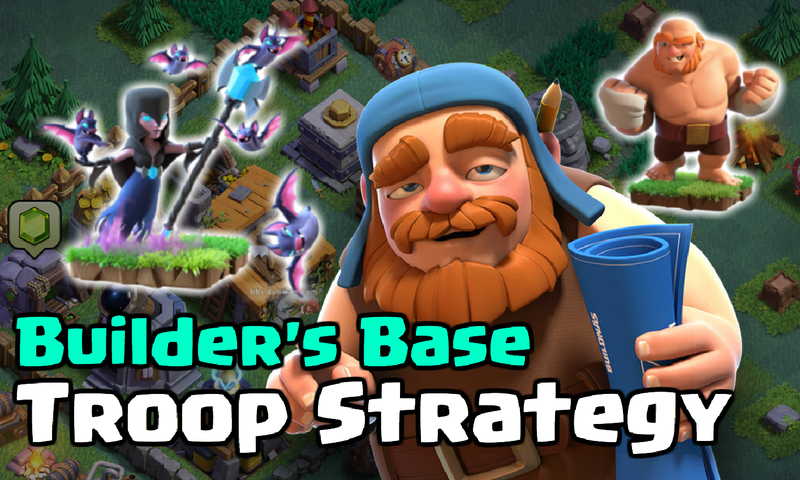 Today, I’m going to give you some strategy and introduction behind all 10 troops from builder’s base and how you can win with each one of the new troops! 3 of the new troops aren’t even out in Clash of Clans yet, so we don’t really know the strategy behind the night witch, drop ship and super P.E.K.K.A. However, I can give you guys the best advice for the first 7 troops and “guess” for the strategy behind the non released 3 troops! 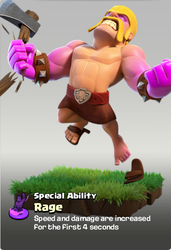 Raged Barbarian- The raged barbarians are the first troop unlocked at builder’s base and quite honestly they are pretty good! Having the rage effect allows them to quickly move through defenses in the first couple seconds with their rage effect. Just a solid, dependable medium health melee troop that can bust through some buildings! 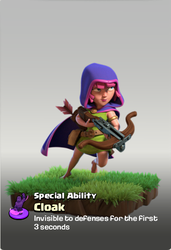 Sneaky Archer- The second troop unlocked, the sneak archers provide a bit of range and also provide a dependable way to take out defenses. Since they go invisible the first couple seconds, you can knock off some outside defenses without having any of the SA die. The new barch, S(neaky)A(rchers)R(aged)B(arbarians), makes for a tough combo to beat at BH2 and BH3. Pairs well with: Raged Barbarians, Boxer Giant, Baby Dragon, Super P.E.K.K.A. 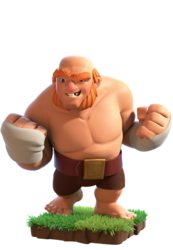 Boxer Giant- Honestly, I don’t really see much of a difference between boxer giants and regular giants, but whatever Clash of Clans says goes I guess. Their first punch does a TON of damage, so you want to make sure you have them going for the right building/wall. These guys are mostly tanks so pop in some support troops behind. Beta Minion- One of the most OP troops at BH3, mass beta minions can run through an entire Builder’s Hall 3 base if played correctly! They have an even longer range than normal minions, meaning that they don’t need to travel as far to kill their target. Could we see balloonion rise once the drop ship comes out? 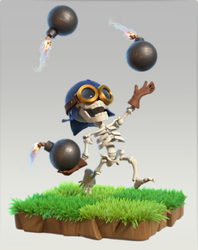 Bomber- Straight out of Clash Royale! The wall breaker can now throw his bomb, allowing for multiple attacks before he dies. The bomber is a wall breaker at heart so he targets walls, dealing TIMES 15 damage to walls as opposed to regular buildings. You can use him just like a wall breaker, since one throw will burst open the wall! Pairs well with: Boxer Giant, Cannon Cart, Super P.E.K.K.A. 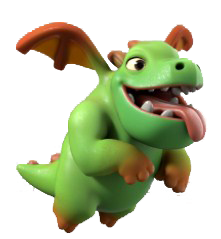 Baby Dragon- The baby dragon is the only troop to have already appeared in the home village that reappears within the builder’s base. 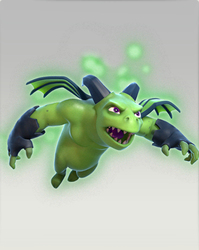 That being said, we already kind of know what the baby dragon does, being a small tanky flying unit, that begins a rage spell when it is alone in the air. Great unit for singular attacks, but without the rage spell the BD can still do crazy damage! Cannon Cart- This is the troop I am most excited about within the new builder’s base! 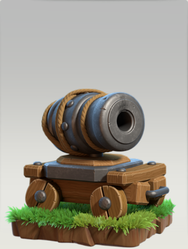 Think about the cannon cart similar to sparky in Clash Royale, doing massive damage but having pretty low health. However, when protected by a tank in front, the cannon cart can really be a big damage dealer. Pairs well with: Boxer Giant, Super P.E.K.K.A. Night Witch- Coming soon in both Clash Royale and Clash of Clans, the night witch is the most mysterious troop in the Supercell universe. 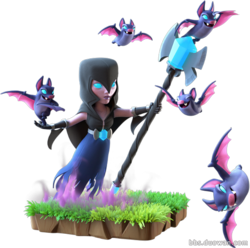 The night witch will summon bats, which gives her both ground and air support for an awesome combo. Just like classic GoWiWi, the night witch will be awesome behind a good tank! Pairs well with: Boxer Giant, Baby Dragon, Super P.E.K.K.A. Drop Ship- This is a balloon, but with a massive twist! 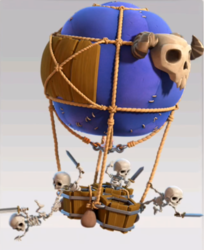 Instead of dropping bombs onto the buildings below, the drop ship will drop skeletons out of it, acting as a skeleton spell with an infinite supply of skeletons. This could be easily OP if supported well; do I sense an all air combo in the works? Super P.E.K.K.A.- Last, but CERTAINLY not least, we have the super P.E.K.K.A. This guy is like a P.E.K.K.A. on steroids. We already have the mini-P.E.K.K.A. 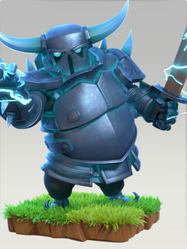 in Clash Royale, so we can only guess to how good this super P.E.K.K.A. will be! There is electricity involved with the super P.E.K.K.A., so I am thinking his special ability will be something dealing with that. So that wraps it up for all 10 of the new troops within builder’s base! I hope that you guys are enjoying these new troops as much as I am and that you continue to progress with the new village. Thanks for reading and comment below what your favorite builder’s base troop is! The super pekka is probably just going to stun the thing it attacks for like a second or two. It’s going to be op. Everyone knows that. Pingback: Builder’s Base Troops Strategy and Explanation | Clash of Clans Guide, Strategies, Tricks and More! Definitely not! They are along the lines of regular barbarians.